The Championship – What’s gone wrong? It was not so long ago that many pundits were calling the Championship one of the most exciting leagues in Europe. Good attendances, competitive football and highly unpredictable results. However, as the ridiculous sums of money in the Premier League grow higher and higher, the desperation to reach the top flight of English football is putting the Championship into an increasingly ugly state. At points of the 2012/13 season it appears as if the people in charge of teams in the second tier are staging a competition to see who can run their club the worst. From a chairman more impatient than Roman Abramovich and a hundred years of history being thrown away in the pursuit of glory, the Championship is heading down a road which could seriously damage English football forever. Being proud of your history is important for any football club. Without heritage, tradition and pride, football is nothing more than rich people kicking a ball around a field for an hour and a half. While every fan should be proud of their past, Nottingham Forest have more reason than most. Two European Cups, winners of the top flight, FA Cup winners on two occasions and four League Cups, Forest have a history which would be the envy of most Premier League clubs. The majority of these successes came under the leadership of the legendary Brian Clough, a manager so unique that he is beloved by fans of Forest and Derby County, a similar feat to winning man of the year in Israel and Palestine. The man is so respected that whenever the two great rivals meet, they play for the Brian Clough trophy. Clough managed the club for 18 years, winning everything there was to win as he took control of 907 matches. 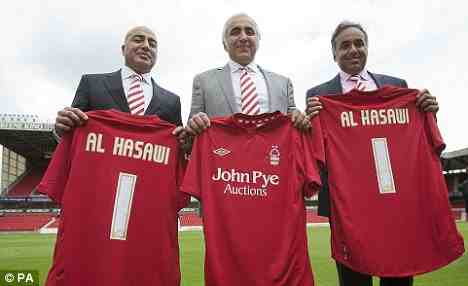 By contrast, since Fawaz Al-Hawasi took control of the club on the 10th July 2012, the club has had a grand total of four managers. At the current rate at which Nottingham Forest are disposing of managers, they would go through 108 in the same period of time that Clough lead the club so magnificently. The initial excitement when the Al-Hawasi family took over has long since faded for the majority of Nottingham Forest fans I come into contact with, as manager after manager is given the chop as the team continues to underperform, closer to the relegation zone than contending for promotion. The damage done to Nottingham Forest is far more than just a disappointing season however. Forest are arguably the biggest club in the second tier, with only Leeds United offering a valid argument for being of a greater stature. The chance to manage the Tricky Trees is a chance that any Football League manager would have jumped at until recently. All that has changed, as the average tenure of a Nottingham Forest manager became around the same length as a Katie Price marriage. Al-Hawasi sacked Steve Cotterill two days after taking over at the club, talking of bringing in an “iconic manager”, before hiring Sean O’Driscoll. The former Doncaster Rovers manager was in charge for 26 games, losing just 7 and putting the club in serious contention for the playoffs. Nottingham Forest fans taunted Leeds manager Neil Warnock with “you’re getting sacked in the morning” after the Reds beat his side 4 – 2, however it was O’Driscoll who lost his job mere hours after the full time whistle. Alex McLeish was the next man into the City Ground hot seat, a big name manager even if he’s unlikely to ever win any popularity awards in the city of Birmingham. The 26 games given to O’Driscoll looked like a lifetime compared to the Glaswegians reign, leaving the club by ‘mutual consent’ after just seven matches in charge. Like a desperate drunk running out of options for a place to stay for the night, the only place left to turn for Forest was their ex. Billy Davies was the man in charge of Forest from 2008 – 2011, following in the footsteps of Clough by leaving Derby for their great rivals. He had departed the club almost two years earlier following successive playoff defeats and had not held another managerial job during that time. Davies was highly popular at Forest in his first stint, and in usual circumstances his return would have been met with tickertape parades and supporters openly weeping with joy in the streets. Instead, there is a fear around the City Ground that the legacy of Davies will be spoiled if he fails to win every game 5 – 0 and becomes yet another name on the list of Al-Hawasi’s casualties. The rebranding of Cardiff City was the worst act of betrayal against a Football League club since the murder of Wimbledon by MK Dons, outraging football fans across the world. Everywhere in the world it seems, apart from in Cardiff. While several hundred fans were furious, many thousands more accepted whatever the Malaysian owners threw at them in pursuit of a place in the Premier League. The Keep Cardiff Blue protest group was threatened with assault and even death if they protested at the ground, while my own personal protest resulted in my levels of abuse on social media matching that of Justin Bieber and a wide range of comments about how I should “watch my back”, mainly from 14 year old boys. Cardiff City are defeated 5 – 0 in the Playoffs by West Ham at the end of the 2011/12 season. Following this defeat, news breaks anonymously on the internet that the owners plan to change the bluebird to a dragon, changing the colour of the shirts from blue to red. In return the club would become debt free, a new training complex would be build and the stadium would be expanded. Cardiff City issue a statement stating that the rebrand will not take place, and they will instead “search for alternative investment opportunities”. The brainwashing of fans into believing “red or dead” begins, led by a number of ex-hooligans close to former Chairman Sam Hammam. The club goes back on their word, changing the kit colour from blue to red, releasing a grotesque new badge. The clubs debt increases, while no plans relating to either the training complex or stadium expansion have emerged. However, heavy spending on transfers and wages see Cardiff City storm to near-certain promotion. While many fans boycotted, many more continued to attend matches, either adopting the term ‘reluctant reds’ or even accepting the rebrand completely. With the team doing well on the pitch, those opposed to the changes became a silent minority. Despite a lack of vocal opposition, most fans did not completely give in to the whims of their Malaysian overlords, with blue the predominant colour in the stands. Clearly this lack of “embracing the fusion of Welsh and Malaysian cultures” had to be rectified somehow to keep Vincent Tan happy, and sure enough a plan to force the rebrand down the throats of Cardiff fans was announced in the past week. Anyone who attended the fixture against Brighton and Hove Albion would receive the ‘generous gift’ of a free Cardiff City scarf, which was definitely to keep fans warm and in no way a cynical marketing ploy. Just to make sure as many people as possible accepted the ‘generosity’, the additional bribe of a free season ticket was offered to fans pictured holding a red scarf. As a final insult, the scarf (pictured below) calls the club by the wrong name, with a red bluebird to add further salt to the wounds. The official club spokesman used social media to make a big show of ringing Sky Sports last season to complain about the club being billed as ‘Cardiff’ rather than ‘Cardiff City’ in the build-up to the Carling Cup final, however they apparently have no such problems doing the same thing this year. Who knows how far the rebranding of the club will continue and if they will ever play in blue again, but one thing is certain. At a time which should be one of the most exciting in the history of the club, the unity of the fanbase has been irrevocably damaged. Cardiff City will never be the same again, and not just because of the kit colour. If there is one club that demonstrates the danger of ‘chasing the dream’ in the Premier League, Leeds United would be right up there with Portsmouth. From the Champions League to League One, overspending and unbelievably poor leadership saw Leeds move from a genuinely massive club to a national joke. To say Ken Bates was unpopular in Leeds doesn’t really do it justice, with the former Chelsea owner doing everything in his power to alienate and drive away supporters. With this in mind, rumours of a takeover before the season began were met with an extremely positive reaction from Leeds supporters, with talk of big money to be invested to get Leeds back to where they belong. As much as the football community loves to hate Leeds, they are a massive club who would add more excitement to the Premier League than many of the teams currently making up the division. Singing “We all hate Leeds scum” is a fashion statement for many football fans, declaring their hatred of the Yorkshire club simply because they’ve heard that’s what people do. Despite this, Leeds are a club I have a great deal of respect for. 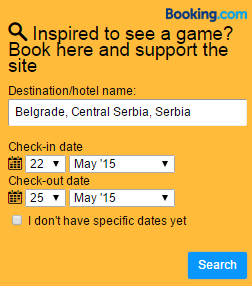 Living in the city for three years I soon discovered that if you live in Leeds, glory hunting isn’t an option. You support Leeds United, and that’s just the way it goes. The men behind the takeover claimed to share this passion for Leeds United, and were initially welcomed as heroes when the takeover finally went ahead after many months of delay and uncertainty. Figures were thrown around of an investment of around £80m, with Neil Warnock to be given the funds he needed to make a serious push for promotion. Instead of a flurry of new signings and building a squad that could truly compete, they sold Luciano Becchio, signing Alan Tate and Steve Morrison, a situation similar to being promised a visit to the Ritz for Valentine’s Day and going down the chippy instead. While the new owners would have to sacrifice Tony Yeboah at half time while stamping on Yorkshire puddings to make themselves less popular than Bates, there seems to be a growing fear that the investment group don’t particularly know what they’re doing. Leeds fans have marched on together through a lot worse than being just outside the playoff places in the Championship, but the early indications are that the bright new dawn at Leeds United may not be so bright after all. The story at Watford is a very different one to those above, as the owners appear to be doing an excellent job and giving the side a good chance of promotion. This is not a story of damaging owners, but instead one of the incredible risks sides take for a shot at the money of the Premier League. Raffaele Riva, Gino Pozzo and Gianfranco Zola are the main men at Watford FC these days, as strong an Italian connection you can get without half time pizzas and extravagant hand gestures. The really interesting changes however have been on the pitch, with Watford making 14 loan signings this season, 10 of them from Udinese. Currently the strategy is working, with the Glory Horns well in contention for one of the automatic promotion spaces. The problem comes if the Watford Azzurri promotion campaign is unsuccessful and their Italian stallions return to their parent clubs. Watford will be left with a threadbare squad and increased expectations from the fans after the excellent way they have performed this time out, putting pressure on the club to spend big. There is also the issue about just how much loan players care for the clubs they represent, especially towards the end of the season. In theory the Cardiff City squad which contained Craig Bellamy, Michael Chopra, Jay Bothroyd, Peter Whittingham and Chris Burke should have stormed to promotion, but poor loan performances saw the unity of the squad collapse as they meekly failed in the playoffs against Reading. Meanwhile, Swansea City were promoted without the star names, relying on just one loan player who was able to make a real difference. Whether Watford will go the same way as that failed squad remains to be seen, but building an entire team around loan signings is a worrying trend for the future competitiveness of the Championship. With financial fair play coming in to place to prevent so called ‘financial doping’, squads full of loan players could be the next trend for instant success. The lower reaches of the Spanish leagues contain reserve sides for the top La Liga teams. If British clubs go down the route of loaning vast numbers of players from abroad to avoid loan regulations, the Football League could essentially become another version of Serie B. I don’t blame Watford for what they are doing, the ridiculous financial incentives of the Premier League mean that it is inevitable clubs will do anything they can to get their hands on the top flight pot of gold. As with the Cardiff City rebranding and the Nottingham Forest manager massacre, the problem is how many clubs will follow in their footsteps if their plans are successful. With owners prepared to take such risks and fans prepared to make such sacrifices to their clubs, you would think that getting into the Premier League would result in guaranteed success and stability for a club. You only have to study the current Championship table to discover that this is far from the truth. Wolves, Bolton and Birmingham City spent many years in the top flight between them, yet it is relegation to League One that is on their mind this season. Birmingham’s overseas investors did oversee a League Cup victory and a brave Europa League run, but relegation followed and the club has been left in limbo by Carson Yeung’s court case and the uncertainty over who is actually making the decisions at the top level of the club. Blackburn Rovers are performing slightly better in the table, but this does not mean the club is being managed any better. The Venkys have become synonymous with bad leadership, as they talked about signing Ronaldinho and bringing back the glory days, but hired the dismal Steve Kean and were relegated instead. While the Premier League continues to fool people into thinking it’s the strongest competition in the world and offer such financial incentives for those who battle their way into it, the Championship will continue to show as much dignity as a kebab shop at 3am after a Saturday night out. It’s clear to see that football in England cannot go on the way it is, however it will be the Championship and the Football League that suffers worst when the ivory towers come crashing down. Posted on February 17, 2013, in General and tagged Cardiff City, Cardiff City rebrand, Cardiff Malaysia, Cardiff owners, Championship, Leeds United, Leeds United takeover, Nottingham Forest, Vincent Tan. Bookmark the permalink. 2 Comments. I really wish people would stop with the “what happens when the loans go back” nonsense. A quick look at Grenada, the third Pozzo club, shows they stick around. What point is there of the Pozzo family giving up on Watford after one season? They’ve made it quite clear that promotion this season wasn’t expected, and we are ahead of schedule. Should we go up, we would become the cash cow of the group, and would probably be the team sending players out to the other two clubs.